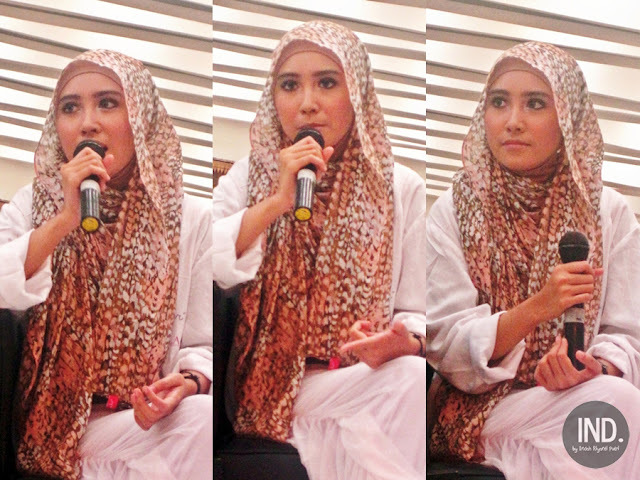 First of all, let me give a review about this "Hijabist" novel. 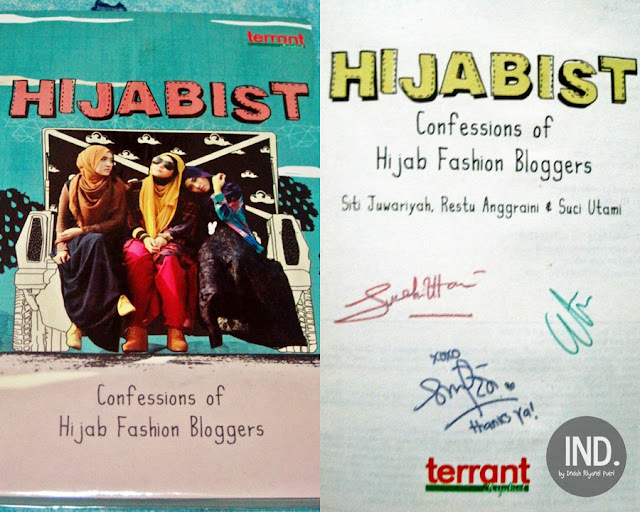 "Hijabist" is a novel from 3 hijab fashion bloggers. 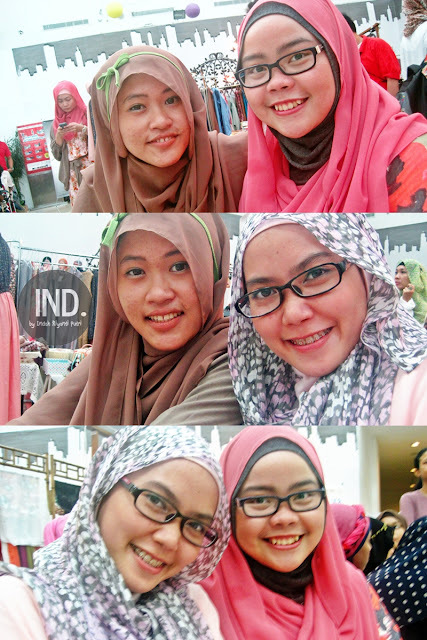 They are Siti Juwariyah (Saturday blog), Suci Utami (Last Minute Girl blog), & Restu Anggraini (Helga Bonanza blog). 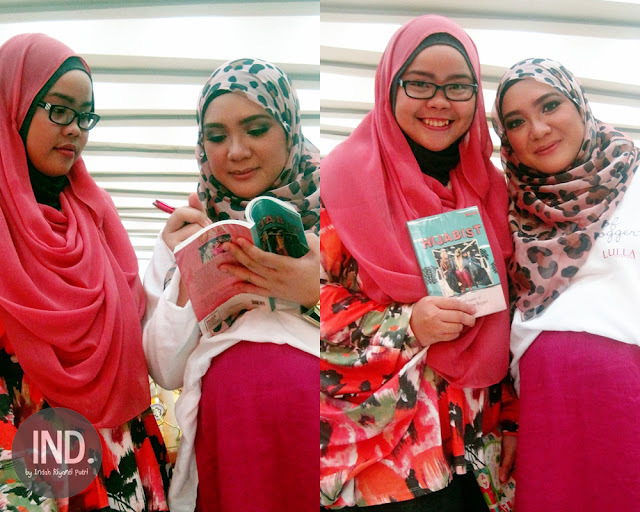 In this novel, kak Siti - kak Suci - kak Etu will tell you stories about each of them. How they found love, their career, their dream, and also their fashion line! 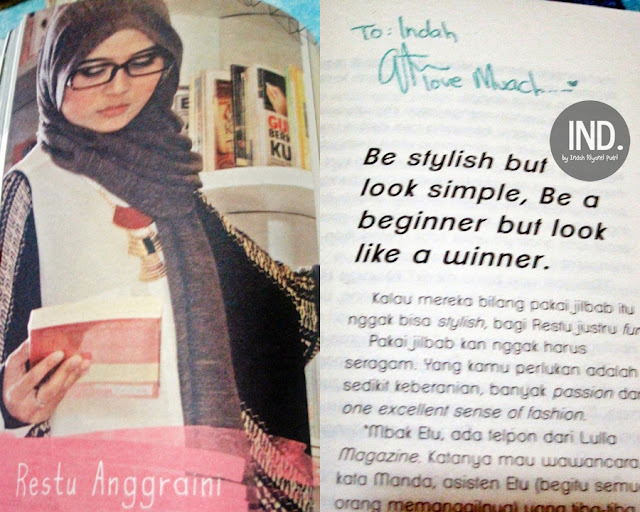 This novel also provide interview from each writers, a hijab tutorial, fashion tips, & mix and match from them. Okay, let me give a little bit my favorite part (not a spoiler) for each chapter in this novel! 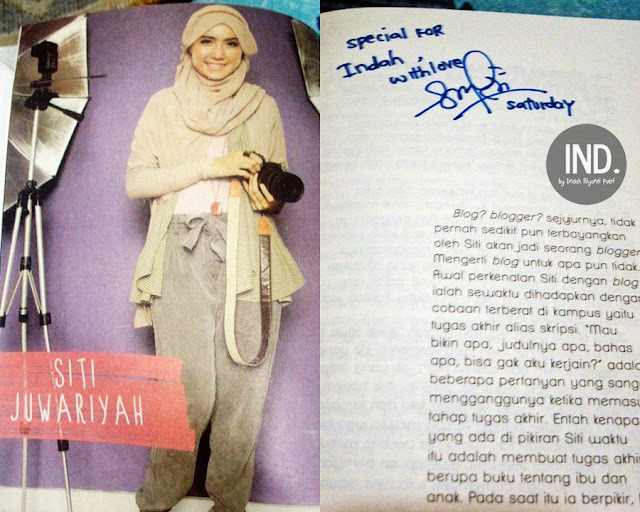 My favorite part is when the senior editor for the first time tell to kak Siti that he loves her at Authentic Cafe. And also when I know why kak Siti loves Saturday. who is the senior editor? 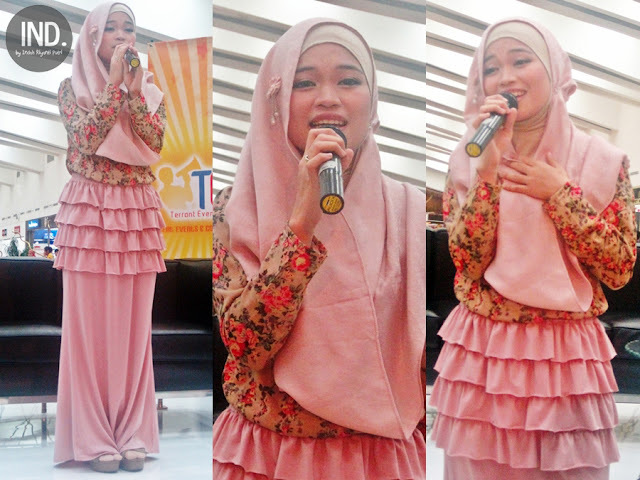 why kak Siti loves Saturday? My favorite part is when kak Suci proposed by her husband in an unique way. 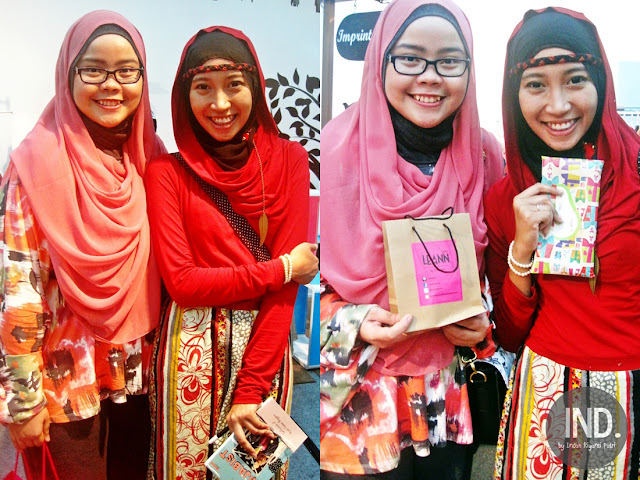 And also when kak Suci so happy and excited to tell her husband, her dad, & her mom about her pregnancy. how the husband proposed kak Suci? 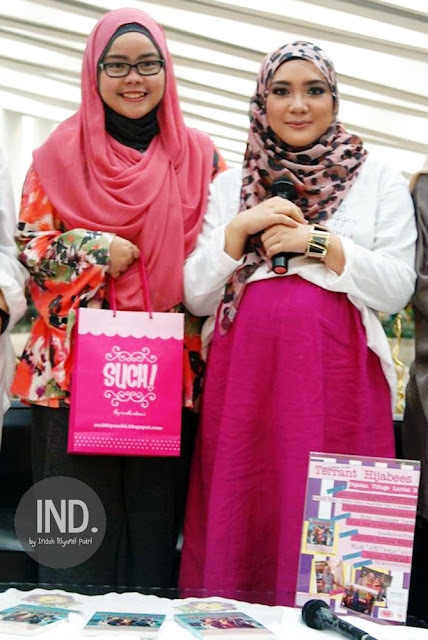 why kak Suci so happy & excited to know her pregnancy? 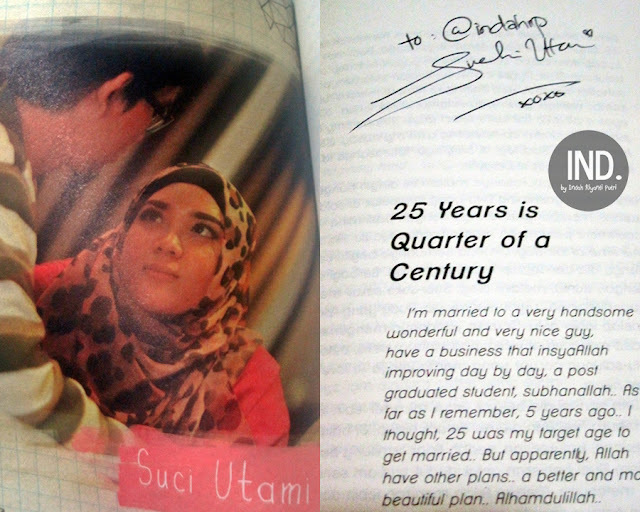 My favorite part is when kak Etu proposed by her husband in her home. And also when she is so busy taking care her wedding purposes & her job within a short time. how kak Etu proposed by her husband? why kak Etu is so busy taking care her wedding purposes & her job? 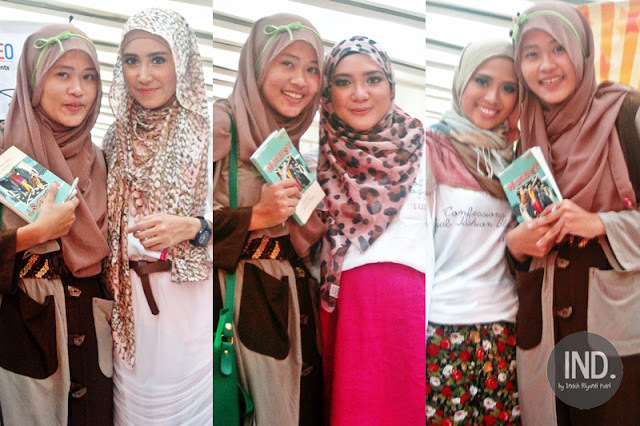 "Hijabist" launching was held on Sunday, August 12, 2012 in Pejaten Village Mall 3rd Floor. Honestly, I'm sooo excited for this event! Because I really want to meet kak Siti, kak Suci, and kak Etu in personal. 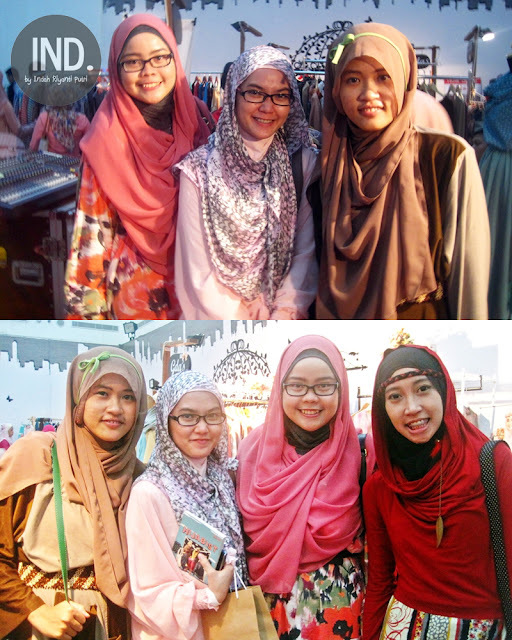 That was the first time I met kak Siti & kak Suci, and the second time I met kak Etu. 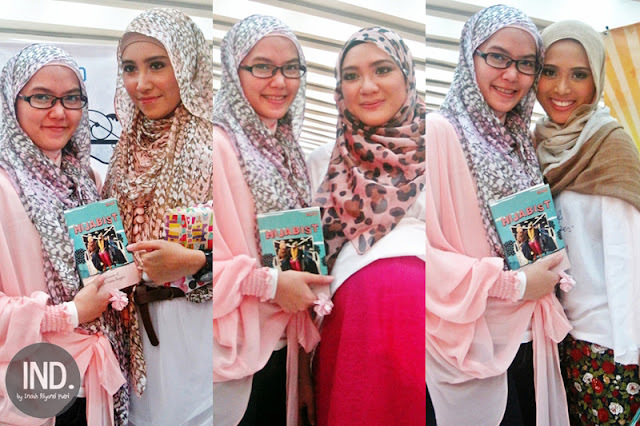 Okay, that's all the review about "Hijabist" novel & the report of "Hijabist" launching..
See you soon on the next event, Insya Allah..
makasih ka,,, nongol deh aku,, teman baru niii!! !